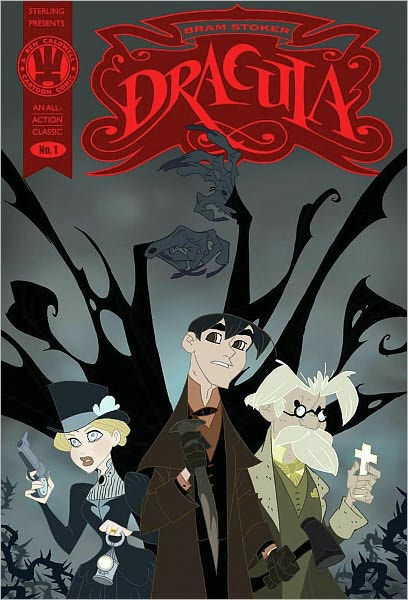 I was shuffling though one of our book cases the other day, in search of a graphic novel to read for today, and was happy to find this, an adaptation of the Dracula story. The boyfriend is all about the Occult & Horror, so I wasn’t terribly surprised, but, flipping through, I immediately fell in love with the art. So I nabbed it & cozied up to read. 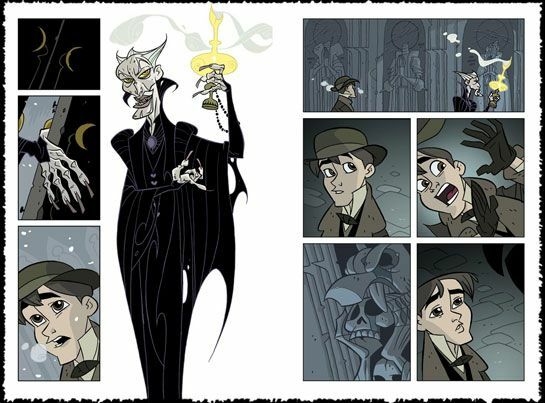 This is an adaptation of Stoker’s Dracula, so it is the same story that has bend told for a couple hundred years. Jonathan Harker, an estate agent, goes to Transylvania to prepare for Count Dracula (one of his clients) to move. 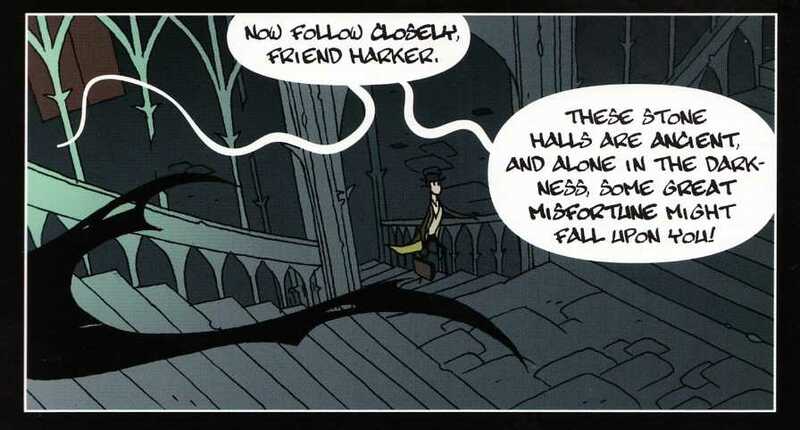 While there, he notices some strange things, and frees himself at the end of his stay. His leap for freedom doesn’t go as planned, and he ends up missing, and assumed dead. Meanwhile, in England, his fiancé (Mina) and her friend (Lucy) are spending time together, both being approached by gentlemen, even though both are engaged. One day, a ship crashes at their local dock, but no one living is found aboard. Just coffins full of dirt. Soon, Lucy takes ill. She is receiving blood transfusions daily, and it is not enough. She dies, and starts to walk the night as one of Dracula’s vampires. The group (Harker is back now) is joined by Dr Van Helsing, and they destroy Lucy together. Regrettably, while they’re out wrecking Dracula’s home one night, he is enslaving Mina. They then do their best to follow him across the sea in hopes of destroying him. 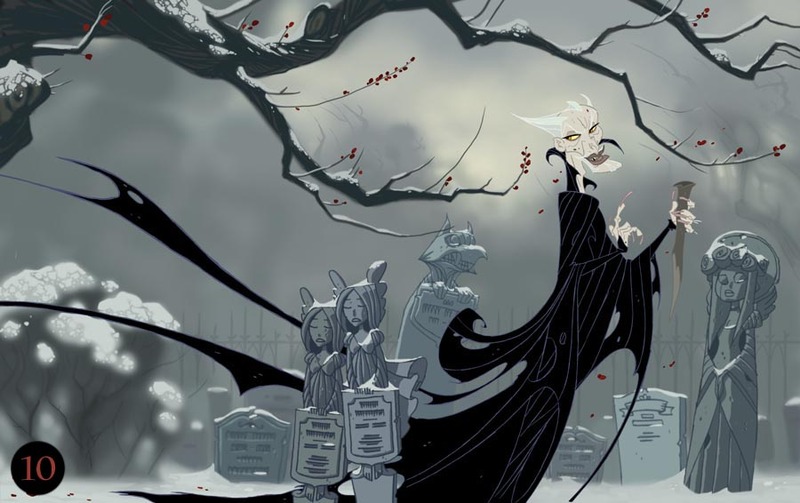 I love the story of Dracula, in it’s many forms. I saw a play of it, I’ve read the original text, and of course I’ve seen Dead & Loving It, a Mel Brooks film that stays surprisingly accurate to the source material. This graphic novel was a lovely adaptation, and I’m intrigued about others of the same concept. The art of Ben Caldwell, is amazing. There is a movement to his panels and things are drawn well, with an incredible use of space. It was easy to fall in love with. The lettering, however, was difficult to read; the weight was a bit bizarre, and it was not helped by the size of the text. Other than the lettering, I loved everything about this graphic novel. I think it’s appropriate for kids in middle school; while there is blood it isn’t overwhelming. Also, it seems impossible to have a Dracula story without violence. I think it’s relatively well hidden, though. I recommend checking this out. It was a short but enjoyable read, and I’m excited to check out others from this All Action Classic series.